Rigel and Stephanie are two of my dearest friends, so it was a true pleasure to be their wedding photographer this spring. Both Rigel and Stephanie have a tight-knit circle of friends, so we started the day getting ready together at their Sebastopol home, before heading out to Crane Creek Regional Park for a portrait shoot. 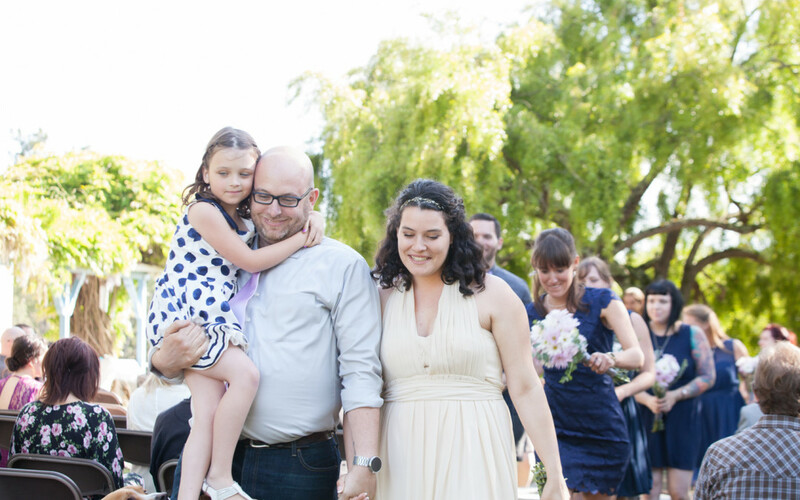 Their wedding was held at a lovely private home owned by family friends, with catering from a local paella vendor, and for dessert, a gorgeous tower of croquembouche, harkening back to Stephanie’s French roots. Her grandmother flew in from France, and stole the show with a speech about the love their family shares, and how happy they were to be celebrating this occasion together.